While the sport of women’s beach volleyball is generally exploding in the NCAA as administrations across the country view it as a financially-conscious way to grow their sport offerings while maintaining Title IX compliance, the administration at the University of New Mexico has decided that the opposite is necessary. They have moved forward with a plan to eliminate 4 sports after the 2018-2019 season: beach volleyball, men’s soccer, men’s skiing, and women’s skiing. They will also ‘significantly tweak’ rosters for men’s cross country and track, and women’s swimming and diving, according to the Albuquerque Journal. Watch the meeting of the Board of Regents live here. Even those cuts are not believed to fill the gap, according to New Mexico president Garnett Stokes, who had a meeting with the Board of Regents on Thursday morning to finalize the plan. The 4 sports facing elimination are the 4 of the school’s sports that don’t compete in the Mountain West Conference. The 4 programs scheduled for elimination had 66 athletes total last season. The programs would officially be phased out on July 1, 2019, and any scholarships would be honored until graduation. “We’ll work with every one of these student athletes to help them in whatever avenue they choose,” including possible transfers, athletics director Eddie Nuñez said. He also indicated that the NCAA has said that athletes who wish to transfer this year, before school starts, would be granted a waiver to play immediately. The plan, including dropping the women’s diving program from the combined swimming & diving team, would achieve $1.15 million in savings of the $1.9 million necessary to meet a deficit-reduction plan for 2020. 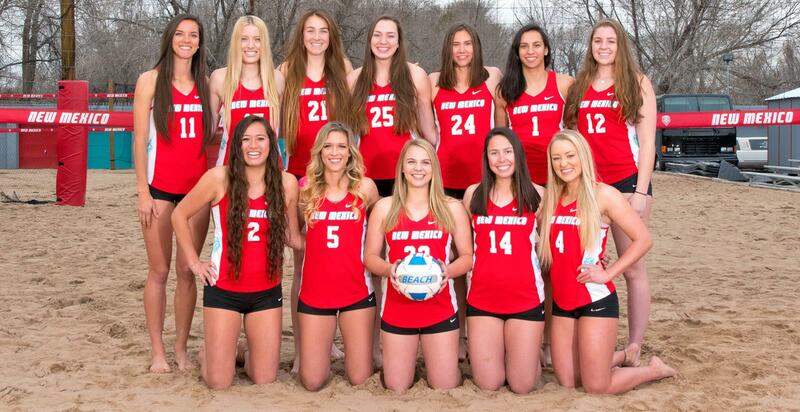 New Mexico’s beach volleyball team finished 9-14 last season, which was their 4th season in existence. All of the paid beach volleyball coaches are also members of the indoor staff, as are 6 of the players on the beach volleyball roster. That means the school has 7 beach-only players on last year’s roster. The school also added a transfer this summer Jaclyn Inclan from the University of Arizona – a team that beat New Mexico twice last season – who planned to play on both the indoor and beach teams. Both New Mexico’s indoor team (3.51 GPA) and beach team (3.64 GPA) were announced to have won AVCA Team Academic Awards last week.